This month we will meet at October 6 at 8pm at the usual location at 1245 Allegheny Drive. 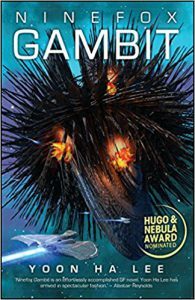 In October we typically read the Hugo Award winner for best novel for the year. 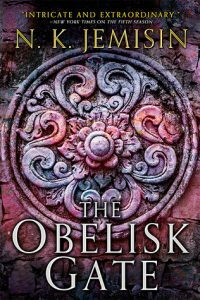 In this case the winner is The Obelisk Gate by N.K. Jemisin. 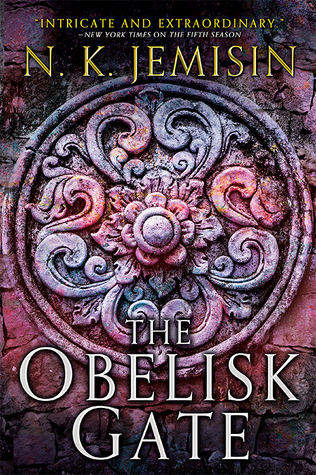 This book is the second in the Broken Earth trilogy. The first volume is The Fifth Season (winner of the Hugo in 2016), and the third, published in August of this year, is The Stone Sky. Because The Fifth Season won the Hugo last year, First Friday read the book (or some of us did) last October and do not wish to read the second book in the trilogy for this year. We all know that the second book in a trilogy is often the weakest of the three, although we could debate that at a meeting. So to change things up, we will be reading another book nominated for the Hugo this year. Ninefox Gambit by Noon Ha Lee was ahead in the Hugo voting until near the end of the tally. For those who may not know, the Hugo voting is done by Australian ballot, so that you place your choices in first, second, third, etc. place. Once all the first place votes are tallied, the book with the fewest votes is out, and those ballots are sorted by the second place vote. This keeps going until a winner is determined. So our book for October will be Ninefox Gambit. With luck Mem will have obtained a couple of copies, and the book is available in the Hugo packet for anyone who was a member of the last Worldcon. 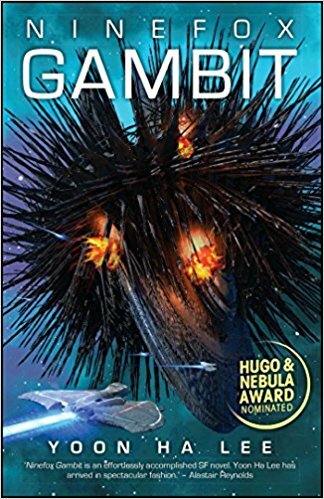 I found a very good review of Ninefox Gambit at Tor Publishing which explains that while the book might not grab you in the first few pages, it is worth the effort of sticking with it.